The snow is finally melting!!! Bye bye snow!! Well...there's still plenty of snow, but I haven't had to shovel in days, so I'm happy...so very happy. And it's Friday!! And I have a finish!!! My ALYOF March goal was to finish the Mini Lotus pattern by Jaybird Quilts. It took some time to get accustomed to the tiny pieces, but I have to (reluctantly) admit that I did enjoy making this project. And I tried wavy/organic quilting. This will hang on the dining room wall to match the Seaside table runner finished back in January. Not much productivity this month due to all the shovelling of snow. But will be making an effort to get back on track next week. Tomorrow is MMQG's monthly Sew In. 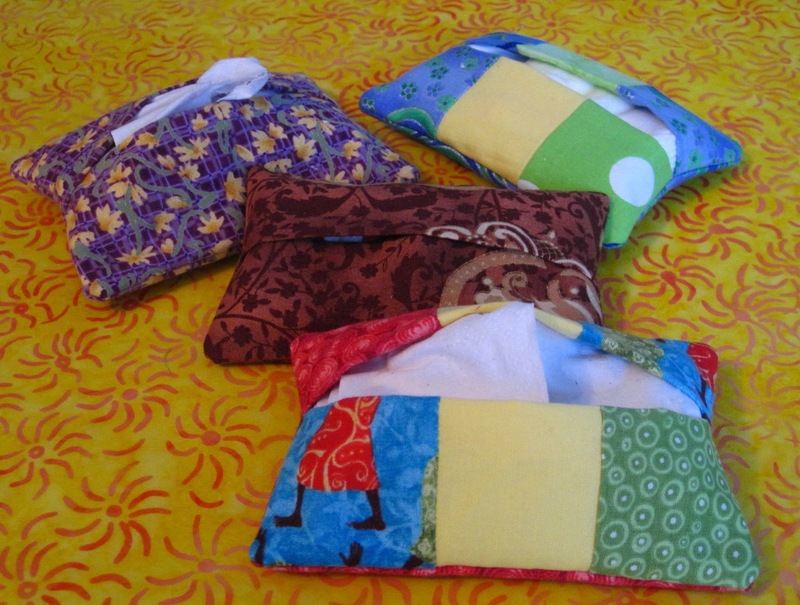 A day of sewing and socializing with like-minded friends...what a great way to end the week. Linking up with ALYOF over at Sew BitterSweet Designs and TGIFF hosted by Simply Pieced. Winter is not my friend. And today, shovelling snow interfered with my quilting plans. I knew the snow was coming, but didn't expect so much. I couldn't open the back door, and the snow banks were very high. So I called in Nephew to come help. Luckily he's 6-feet tall so he was able to climb over the fence to the backyard (because the gate is still frozen shut from our many storms this winter) to shovel out the back door. If I have to shovel any more, I'm running away! The last few days, I've been working on another wall hanging for my sewing room. I was disappointed with the quilt labels I purchased on Etsy, so decided to try the labels from Sew Fresh Quilts. They arrived this week, and I am very pleased. 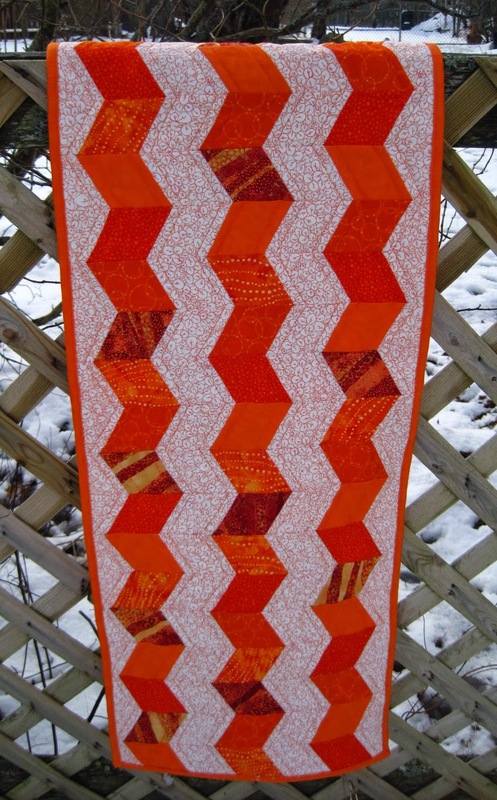 Finally stop procrastinating and ordered Fox and Friends from Lorna over at Sew Fresh Quilts. Who knew it was so easy to order and download a digital pattern. I had to shop at two quilt shops to get all the glorious Kona colours I needed. Fabric is washed and ironed, and I can't wait to start cutting and sewing. The calendar says Spring is just around the corner. I hope Mother Nature got the message...there is no more room in my yard for more snow. Val suggested a pieced grass bottom. I'm allergic to grass so wasn't wasting time or fabric on something I don't like. It was bad enough I had to make trees, to which I am also allergic. I did enjoy making the wonky HST's...after the initial stress of not having dimensions of the pieces needed. Finally, it was lunch time. Whew...time for a break from all this fun. Was feeling pretty good that I had made it this far, but then Val tells us that we're making a house and letters in the afternoon. Was that an evil grin I saw? I clearly did not bring enough sugar to eat. Project three: a house. I admit the house was not so bad; however, again some stress trying to find fabrics when you don't know the dimensions of what you need. Just grab a piece that looks like a door....say what??? No grass at my house...rock garden instead. And then for the final project of the day...letters. There was no chance of skipping out at this point...tad bit hard to sneak out carrying a sewing machine and a huge tote of stuff. Went with my favourite colour orange to help alleviate some of the stress. Not only was there no measuring of the pieces needed, there was no ruler used to cut said pieces. Okay...what happened to the gentle push outside of the comfort zone? This was a shove and don't let the door hit you on the way out. Proudly showing off the new wall hanging for my sewing room. 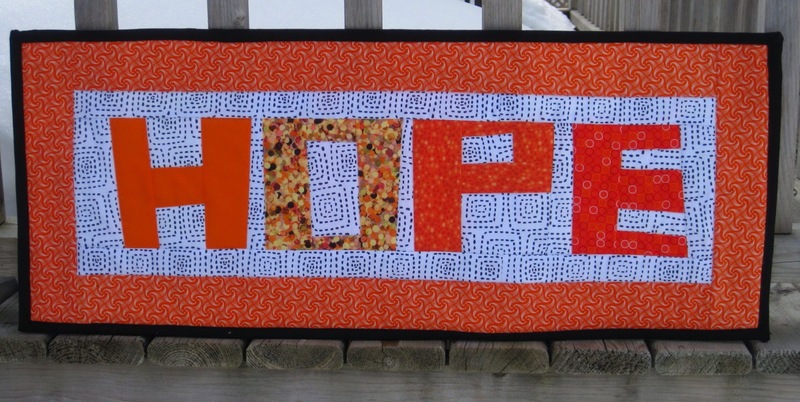 New wall hanging for my sewing room. I survived the class!!! Although I'm not yet converted, I did enjoy making these letters. There will be more letters in my future. I see this becoming an addiction like the zippered pouch incident. Scrapteacher, I need a new project! I finally met Baby M on the weekend (he lives away). He has grown and is doing quite well. 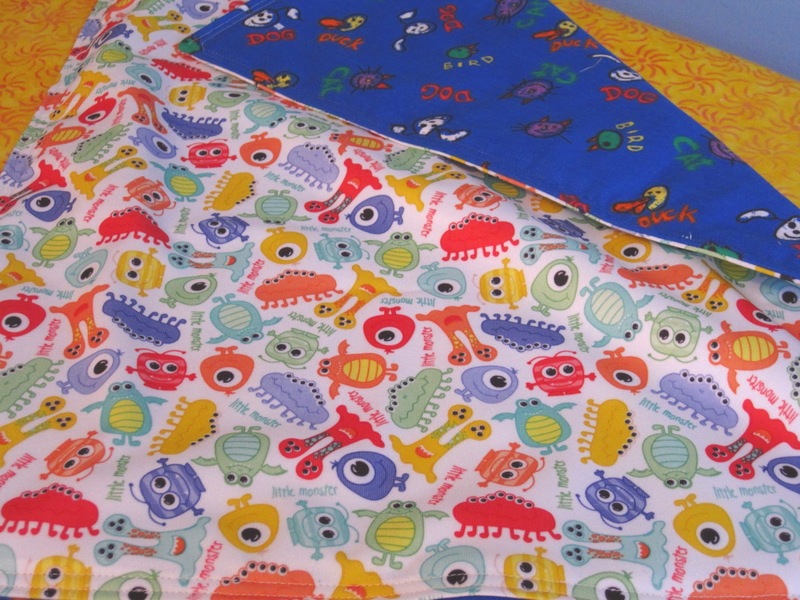 So decided to make a changing pad with PUL waterproof fabric. 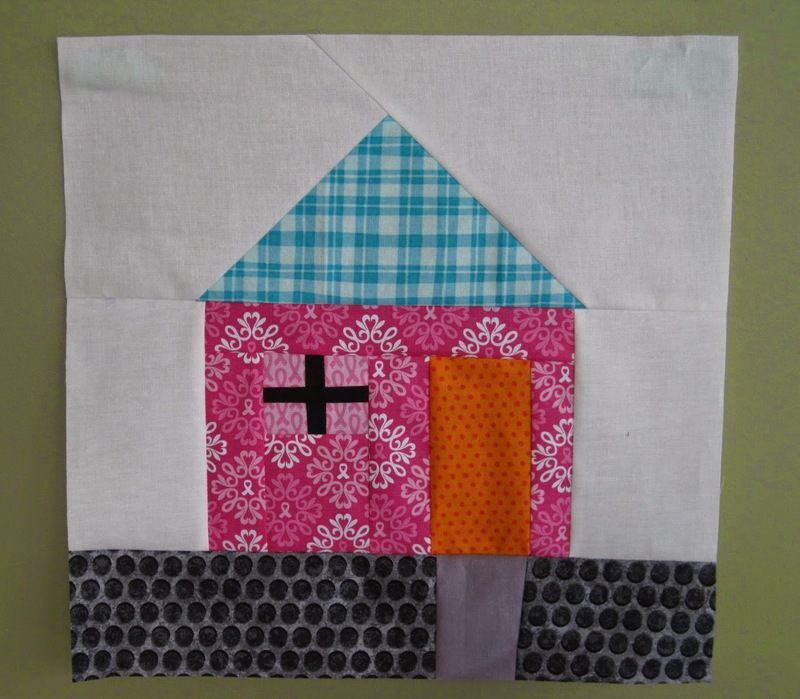 I have been continuing the momentum created by the 4 x 7 Sewing Challenge over at Berry Barn Designs. 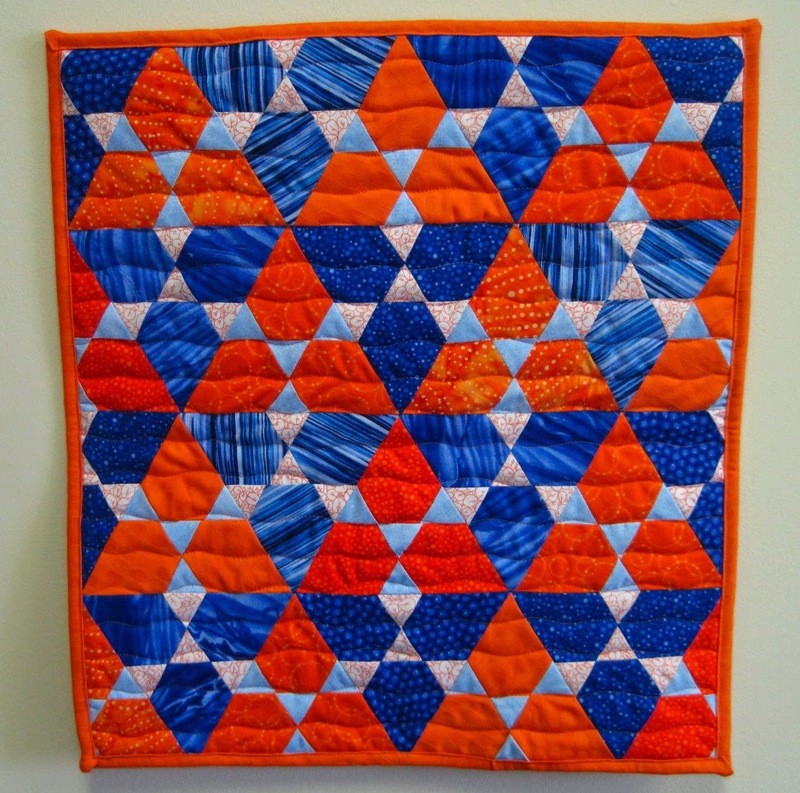 I didn't accomplish much this week, although I have been doing quilty stuff each day. 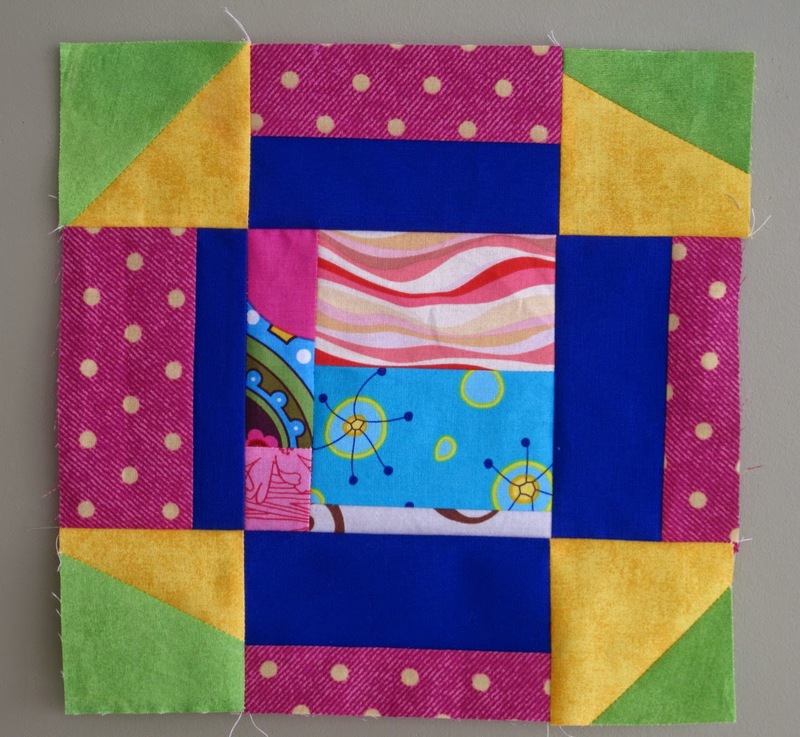 Tomorrow is an improv piecing workshop put on by Val over at Purple Boots and Pigtails. Lately, I seem to be doing things I don't like to do...and then find out that they aren't so bad after all. 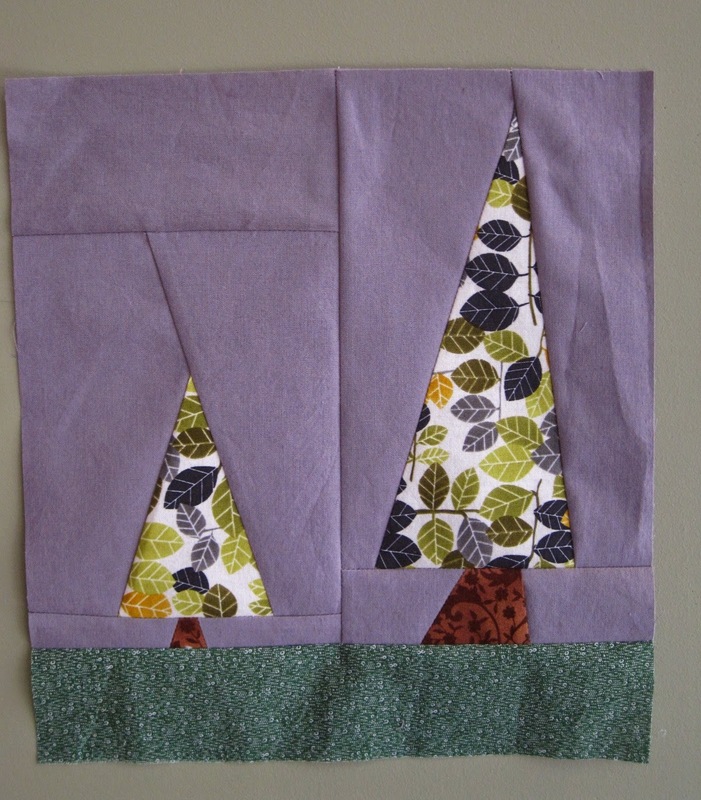 But I will NOT become a paper piecing convert. 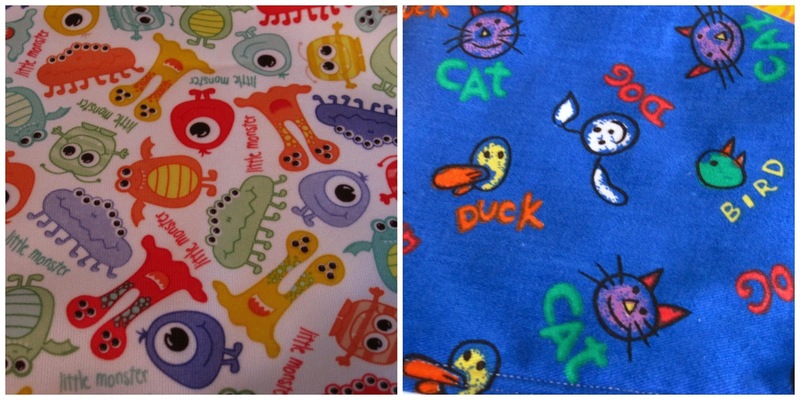 Linking up with TGIFF hosted by Quokka Quilts. Fox and Friends by Lorna over at Sew Fresh Quilts has been on my wish list for some time, and I finally purchased it this weekend. So off to my LQS yesterday to get the Kona needed...where I accidentally bought a quilt kit. The kit was on sale for $19.99 -- for that price, I had to buy it. 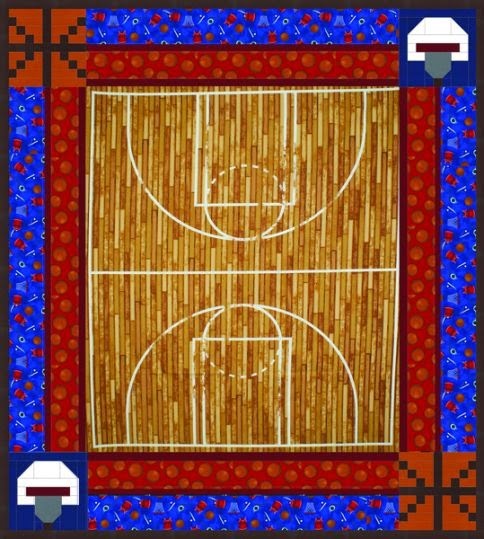 So although I said Nephew wasn't getting another quilt (because he already has many quilts from Auntie), he loves (and plays) basketball, so...another quilt for Nephew. Another quilt for the to-do list...what have I done? March has only just started and already an addition to the 2015 to-do list. Time to choose a goal for March for the ALYOF. Mini Lotus by Jaybird Quilts has small pieces that I don't like to work with, but since I've already started the project to match a table runner...it needs to get finished. The Winner!! Congratulations to Ruth over at Charly & Ben's Crafty Corner -- winner of my blog anniversary giveaway. Thanks to everyone who dropped by.